How popular are Pear-shaped diamond engagement rings? Pear-shaped diamonds provide the perfect opportunity for an unusual engagement ring. If popular round and square shapes are not for you, then the Pear shape might be a good choice. Not the obvious choice, fewer buyers opt for the Pear shape in favour of more traditional diamond cuts. The following are a few interesting facts about the Pear shape. 2. In addition to rings, Pear-shaped diamonds are more often favoured for pendants and earrings owing to the drop shape. 3. The typical Pear-Shaped Brilliant has 58 facets. 4. Pear-Shaped diamonds are less expensive than round brilliant cut diamonds. 5. Pear-shaped diamonds come in different ‘models.’ Some appear short and squat, whilst others appear elongated and slim. 6. 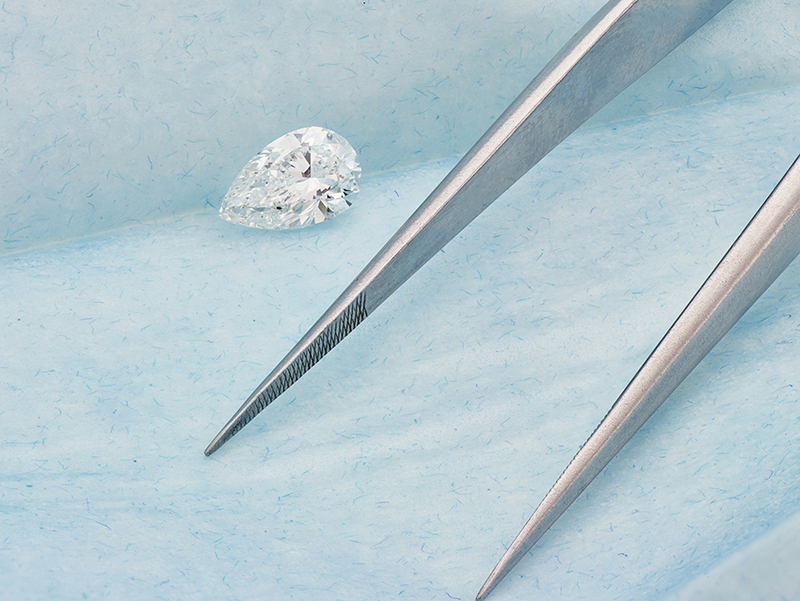 Poorly-cut diamonds can show a dark bow-tie effect within the diamond. 7. The largest Pear-Shaped diamond is the Cullinan I, weighing 530.20 metric carats. Known as the Great Star of Africa, it is set into the Imperial Sceptre of the Crown Jewels. There are many different styles of Pear-shaped engagement rings. For example, Pear solitaire rings are the most popular. Moreover, many solitaire styles exist. 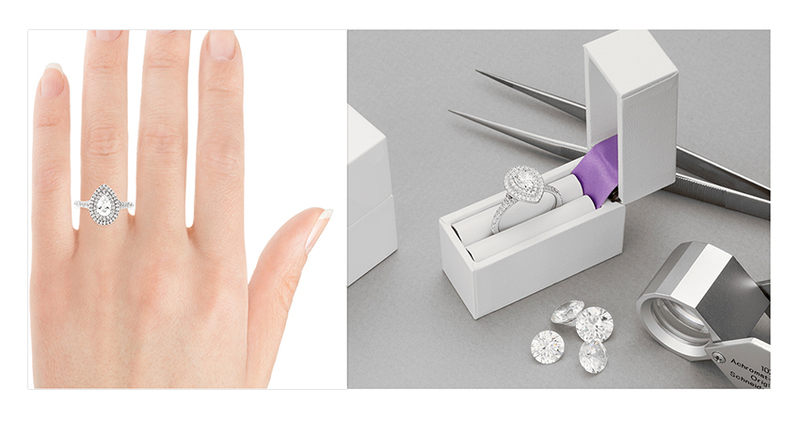 From sweeping designer settings to traditional 3 claw Pear-shaped engagement ring settings. In contrast, Pear-shaped diamonds appear in three stone diamond engagement rings. They make excellent central diamonds. Alternatively, smaller matched pairs make perfect side stones. Finally, we have single halo and double halo rings featuring Pear-shaped diamonds. Pear-shaped diamonds make excellent side stones. Alternatively, we mix other gemstones with diamonds. Furthermore, we frequently vary the shape of a matching centre diamond. Most brilliant styles of diamonds match very well between pear-shaped diamonds. 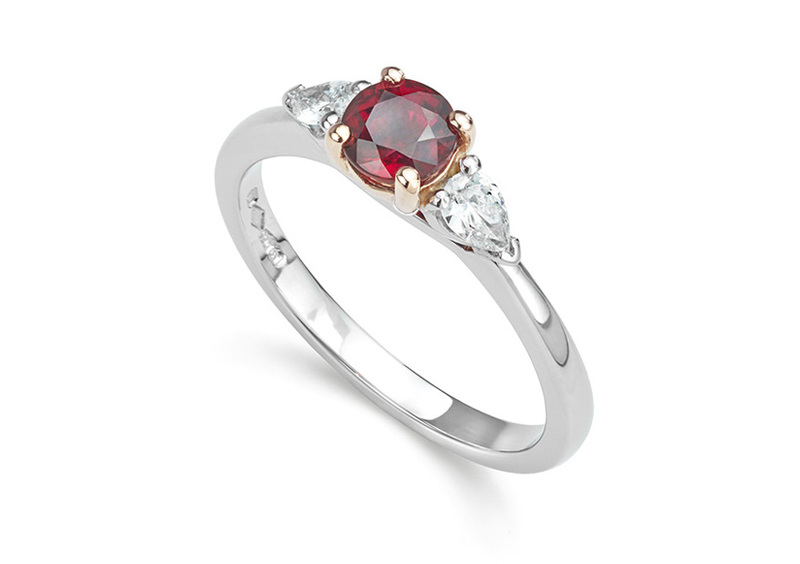 In summary, we provide most styles of ring set with Pear-shaped diamonds. 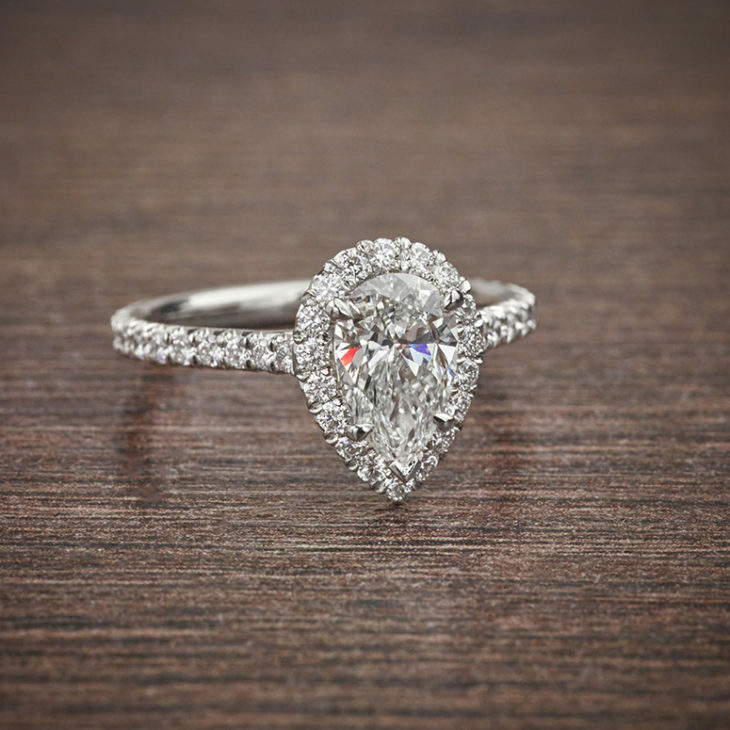 Although not as popular as rounds, there are many couples who choose this distinctive diamond shape for their rings. 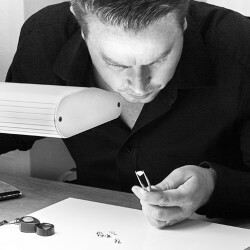 Additionally, we offer a complete bespoke design service to create any style of ring. Just contact us for help and guidance on our regular styles or advice on a bespoke Pear-shaped diamond ring.